Leeds United managing director, Angus Kinnear, has pledged his support on behalf of Leeds United Football Club to support The Howarth Foundation’s Business Building Futures initiative. 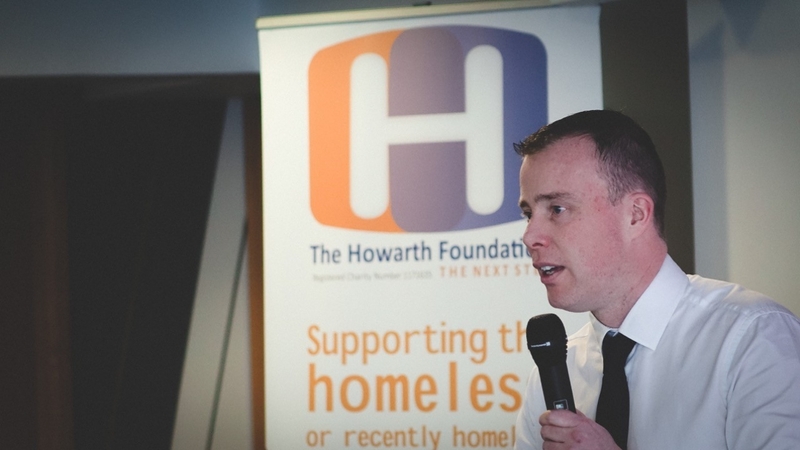 Following a seminar in March at which Angus addressed the region’s businesses to discuss how they could do more to tackle homelessness across Leeds, the managing director offered a position for one of The Howarth Foundation’s clients in the maintenance team. Gavin, a previously homeless person has now been with the football club for over three months on a temporary basis but following his exceptional performance he is to be offered a full time role at the beginning of January 2019. Only this morning Mr Kinnear hosted a press conference with BBC Radio Leeds’ Adam Pope and Andy & Natalie of The Howarth Foundation to confirm the partnership and to hear first hand the positive experience of Gavin in his new role with the football club. It is hoped that this radio broadcast will encourage other businesses in the city to follow the example of Leeds United and join The Howarth Foundation and the football club in a collaborative approach in addressing homelessness. “I have been thoroughly impressed by the high standard of work and level of commitment demonstrated by Gavin, the individual we have recruited through the Business Building Futures programme. “Employing Gavin on a part-time basis has allowed the club to experience how the Business Building Futures programme works without committing to a full-time role, and the team has got to know him as an individual, not just someone who has experienced homelessness.